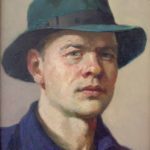 Soviet artist Vladimir Ilyukhin (October 21, 1923 – November 16, 2007) – a veteran of Great Patriotic War (1942-1945), who reached Berlin, was awarded the Order of “Red Star”, order of “Great Patriotic War of I degree”, the medal “For Service in Battle”. Member of the Union of Artists of the USSR (1947), Honored Artist of Mordovian Autonomous Soviet Socialist Republic (1956), Honored Artist of the RSFSR (1980), winner of the State Prize MASSR (1983), People’s Artist of MASSR (1983), People’s Artist of the RSFSR (1988). 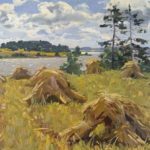 Ilyukhin – the master of portrait and landscape painting. He was a Member of national, regional, national and all-Union art exhibitions. His works are kept in the Mordovian and Russian museums, private domestic and foreign collections. Soviet artist Vladimir Ilyukhin studied in the school of young talents at the Russian Academy of Arts in Leningrad (until 1941). VD Ilyukhin is at the origins of the revival of the professional art and the Artists’ Union of Mordovia in the postwar period. 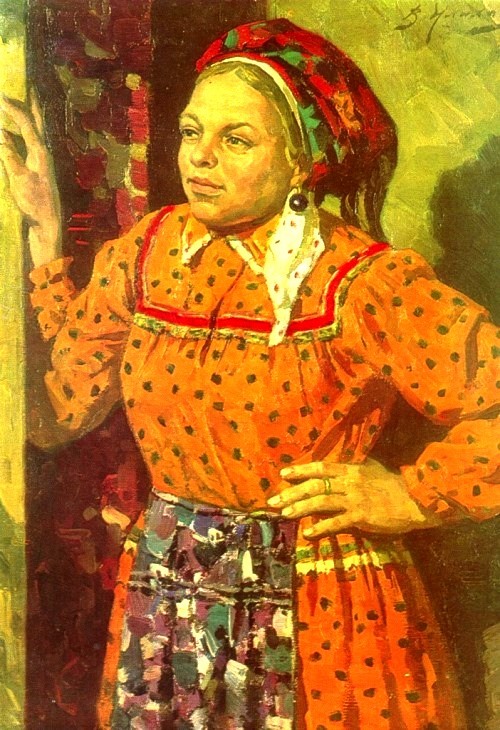 Man typical fate of the war generation, VD Ilyukhin – the classic realist. He’s very traditional. Master is convinced that the main thing for the artist – to see the beauty we have already manifested and be very sincere in transferring it onto the canvas. Vladimir Ilyukhin – the successor of the Soviet and, above all, the national tradition. 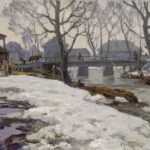 One of the first artists, he refers to the development of a national Mordovian theme in the visual arts. 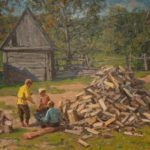 The heroes of his paintings – unchanged devotees of our land: the peasants and the people’s creativity, painter’s compatriots, representatives of the native people. From childhood he was fascinated by the beauty of his native landscape, national costume, culture, nurtured by this land. 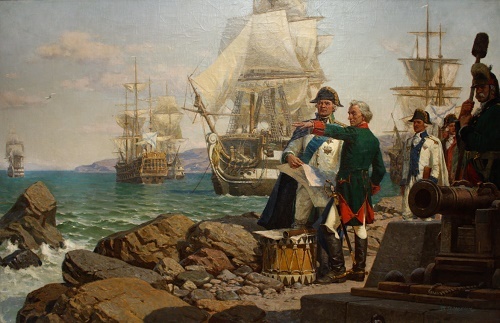 Master painted Crimean landscapes, Ural, the Baltic States, but most of all his native Mordovia. 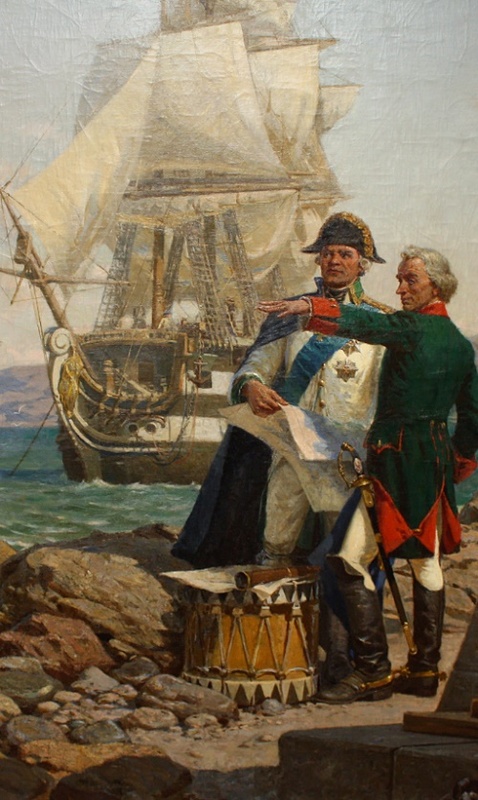 After the publication of the monumental canvas “The meeting of AV Suvorov with FF Ushakov in Sevastopol” (1952), the master never changes his life-affirming top in the works. 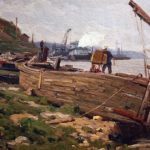 For his art is characteristic the commitment to one big theme – the land and people, embodied in the painter’s favorite genres of portrait and landscape. 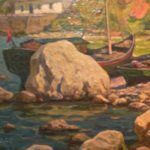 The works of VD Ilyukhin are characterized by different scale image, monumental composition, strength of form, temperamental behavior, plasticity and realism with elements of emotional color decoration. In the optimistic perception of reality, pictorial and converted faithful nature and endless faith in the spiritual powers of man expressed humanistic pathos of the master.